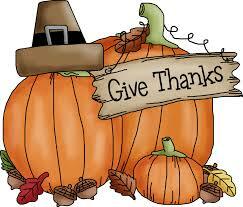 We will be closed November 27th and 28th, we hope everyone has a great holiday! The health and happiness of my family and friends. For my family, career, friends, wine, my health & family health, my house is paid in full and my ability to find humor in everyday life. Family, Friends & Food. And for working with a staff that is eager to help and care about our students. I am thankful for my family, their love and support is out of this world. I am thankful for my health that I tend to take for granted. I’m thankful for a place to call home, where it’s warm, safe and comfortable. I’m thankful our country, where it’s still free, beautiful, and the opportunities are endless. I’m also very thankful for technology, which makes my life easier, and to be able to stay in touch with my son, who is serving our country. My kids and what they have accomplished with everything they have had to deal with in their young lives. They sure have done so many things. I’m very proud of them. My 2 Boys, Ryan and Jackson. My husband and how hard he works to care for his family. My house and the ability to heat it. To have food on the table to feed my family. My family’s health and happiness. Thankful for opportunities give to start over in life, no matter what age you are. I am thankful for my family, including my extremely supportive mother. I am also thankful for my daughter who is my little miracle. I am thankful for the roof over my head, my co-workers who are like family, my close friends, and lastly I am purely thankful to be alive and share my lessons and experiences with others. I am thankful for having such a loving, caring boyfriends and I am also thankful for the love and support I get from the people closest to me. I am thankful for family and people that are in my life from day to day that really mean something to me, and in return I mean something to them. I am thankful for a very supportive family and very grateful everyone is healthy and happy. My children and husband are my everything and so proud of all of them for being such caring individuals. I am also thankful for all the students who brighten my day every day. I am thankful that I can see them succeed as a student and transition into a new career. I am thankful for my job and my co-workers who also brighten my day. I’m thankful for all the people in my life. I’m thankful for my happy and healthy son. I am thankful for my supportive family and boyfriend. I am thankful for my 9 yr. old son. I am thankful for the 30 years I got to spend with my dad before he left us for the lord. I am thankful for my mon and her love and support, I am thankful for my husband. My beautiful healthy nieces. My soon to be sister in law. My brothers, father, and mother. The chance that I could go to school. I have a roof over my head and food on the table. I am thankful for food, for a wonderful family, and for my job.